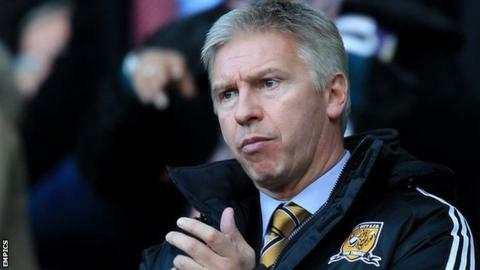 Adam Pearson will advise the club on business strategy. Sheffield Wednesday have brought in Adam Pearson and Glenn Roeder to work alongside head coach Stuart Gray. Chairman Dejphon Chansiri said the trio would form "a three-man sporting director by committee" at Hillsborough. Former Hull City and Derby County owner Pearson will advise on business. Ex-West Ham and Norwich City manager Roeder will focus specifically on football, with Chansiri adding the committee "will evolve and potentially expand on an ongoing basis." Wednesday have had a mixed season in the Championship under Gray's guidance, at one stage threatening to get into the play-offs before falling away. Pearson, 51, who has held a range of senior executive positions in football and the wider sporting community, is currently owner of Super League side Hull FC. Roeder, 59, made a total of 561 appearances for clubs including Queens Park Rangers, Newcastle United and Watford before moving into management. After working at Gillingham as a player-manager, he then managed Watford, Newcastle, West Ham and Norwich City before he was sacked by the Canaries in 2009. Chansiri told the club website: "Adam and Glenn will work alongside our head coach Stuart Gray, having been carefully selected to focus on a clearly defined scope of responsibility deemed vital to the club's interests and future successes, on and off the pitch. "